If you had to choose only ten Buddhist books to keep for this lifetime, this would have to be one of them! A sweeping statement, you say, but Wisdom’s republishing of this gem provides a golden opportunity for new (and old) readers to practice some life-changing meditations, described for us in simple, direct style. We all want to be able to incorporate meditation into our busy lives, and Geshe Wangchen shows us exactly how to do it. Based on the teachings of the great Lama Tsongkhapa, this life-changing book presents time-tested ways of dealing with all sorts of mental sufferings: depression, anxiety and that bug-bear low self-esteem. Such an accessible page-turner. Miller does an awful lot of laundry these days. Not that this was always the case. She used to have the dutiful Teresa who came to her palatial house every Wednesday and took care of all that cleaning business. Fast forward past a cushy lifestyle, the end of a marriage, a few less-than-perfect lovers (or was it Miller who might have been imperfect?) and now we have an author, a mother and a practicing Zen Priest with a riveting tale of spiritual awakening. Her recipes for an ordinary happy life are persuasive and transforming. 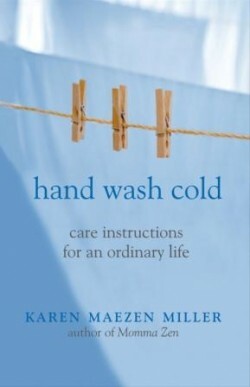 Read how she copes with the suds and stains of living and you’ll never look at an overflowing laundry basket in the same way again. There’s something about taking up a pen and making a mark on paper that really concentrates the mind. So if that is how you approach this deceptively simply book, be prepared for something a lot deeper. Traditional Zen art reveals spiritual lessons and ultimate truths: “The mosquito bites the iron bull,” “Once a beauty, now a skull,” and “In his right hand he holds the knife/ In his left hand, the cat – Speak! Speak!/ Quick as a flash, it’s already too late.” Think about these – and draw them. 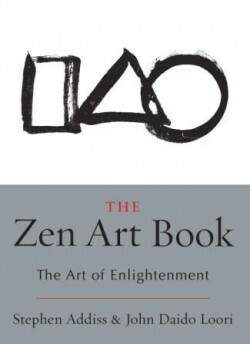 This is a wonderful introduction to the art of drawing the quality of the mind. Enjoy! Practice is what you do until you realize the story is true. And practice requires effort – but sometimes effort itself becomes an obstacle. How to solve this paradox? Klein says that our most vibrant connection with the transmission of teachings from Masters comes when our heart-mind is relaxed and open. One way to achieve this is through rhythmic chanting when the energies of body, speech and mind are unified in contemplation. 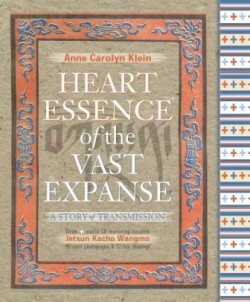 Hence this impressive book (with 96 color photographs and 32 line drawings) comes with an mp3-CD featuring the soothing sound waves of devotional chanting by vocalist Jetsun Kacho Wangmo. The text is from the transmissions received spontaneously in the eighteenth century by Rigzin Jigme Lingpa from such luminaries as Guru Rinpoche. The relationship between a teacher and student is the bedrock of our practice – but it can also be hindered by misunderstanding and obstacles. Throw in cultural differences, and there are more pitfalls. Berzin tells us that the very first place to look for guidelines on how to perfect our student-teacher relationship is in the Buddhist teachings themselves, just as Lama Tsongkhapa always indicated the valid sources, thus dispelling any suspicion that he was making up “false Dharma.” Berzin has done the same, drawing on all four schools of Tibetan Buddhism. 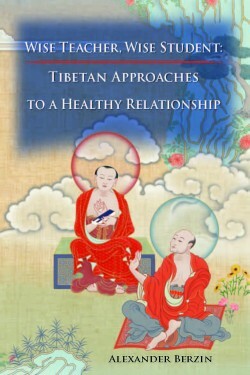 This is a splendid book, covering cultural considerations, the traditional meanings and types of both teacher and seeker, and the dynamics of a healthy relationship. 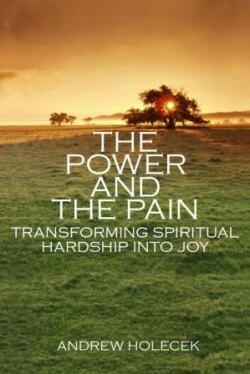 He confronts fears, blocks, over-dependence, rebellion, transference and regression. A very helpful handbook. Essentially, this book is not just about the hardships that might wear down our enthusiasm for our practice, but also some intelligent, humorous advice on how to defeat those goblins. The key to a good journey on the spiritual path is balance, Holecek says, and he shows us how to achieve that balance. What he has done is to take the fourth Noble Truth – “the truth of the path leading to the cessation of suffering” and explored it to the nth degree. He recognizes our pains and mistakes of the ego and helps us to develop a good relationship with our meditation and practice. A wonderful guidebook for spiritual travelers who are facing the challenges of daily living – and that is most of us, surely.